In our view, the ballot box is the only criterion for legitimacy. Accordingly, we seek a republic based on universal suffrage. We want a pluralist system, freedom of parties and assembly. We respect all individual freedoms. We underscore complete freedom of expression and of the media and unconditional access by all to the internet. We support and are committed to the abolition of death penalty. We are committed to the separation of Religion and State. Any form of discrimination against the followers of any religion and denomination will be prohibited. We believe in complete gender equality in political, social and economic arenas. We are also committed to equal participation of women in political leadership. Any form of discrimination against women will be abolished. They will enjoy the right to freely choose their clothing. They are free in marriage, divorce, education and employment. We believe in the rule of law and justice. We want to set up a modern judicial system based on the principles of presumption of innocence, the right to defense, effective judicial protection and the right to be tried in a public court. We also seek the total independence of judges. The mullahs’ Sharia law will be abolished. We are committed to the Universal Declaration of Human Rights, and international covenants and conventions, including the International Covenant on Civil and Political Rights, the Convention against Torture, and the Convention on the Elimination of all Forms of Discrimination against Women. We are committed to the equality of all ethnicities. We underscore the plan for the autonomy of Iranian Kurdistan, adopted by the National Council of Resistance of Iran. The language and culture of our compatriots from whatever ethnicity are among our nation’s human resources and must be revived and enhanced in tomorrow’s Iran. We recognize private property, private investment and the market economy. All Iranian people must enjoy equal opportunity in employment and in business ventures. We will protect and revitalize the environment. Our foreign policy will be based on peaceful coexistence, international and regional peace and cooperation, as well as respect for the United Nations Charter. We want a non-nuclear Iran, free of weapons of mass destruction. 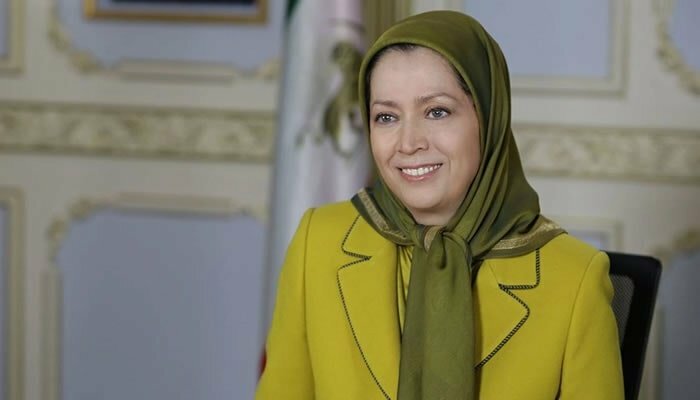 Maryam Rajavi is the President-elect of the National Council of Resistance of Iran (NCRI), a coalition of some 500 Iranian opposition groups and personalities, committed to a democratic, secular and non-nuclear republic in Iran. Half of NCRI’s members are women. As a Parliament-in-exile, the Council’s primary task is to hold free and fair elections for a Legislative and National Constituent Assembly in Iran no more than six months after the ouster of the ruling theocracy.